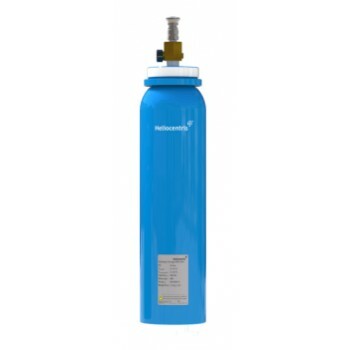 The MHS-800 metal hydride storage canister uses an AB2 metal alloy on a manganese-titanium lattice allowing the efficient storage of hydrogen at low temperatures. The hydrogen is bound to the metal alloy, creating a much higher storage capacity compared to compressed gas cylinders. 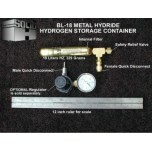 Metal hydride storage containers are filled with metal powders that absorb and release hydrogen (metal hydrides). You may already be using metal hydrides in your laptop computer (nickel-metal hydride batteries). 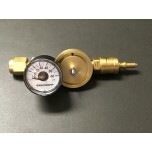 The most popular metal hydrides supply a few atmospheres of hydrogen gas pressure at room temperature. 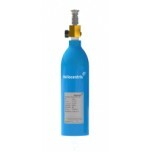 This is the safest method known for storing flammable hydrogen gas. If your hydrogen system develops a leak, the metal hydride immediately releases a small fraction of its stored hydrogen. The remainder will be released over a period of hours. Typical uses for metal hydrides include hydrogen supplies for gas chromatographs and fuel storage for hydrogen engines or fuel cells.